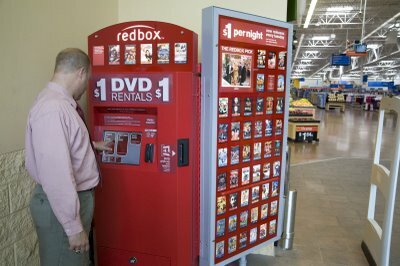 DVD Rental service Redbox- the guys with the ubiquitous convenience store and drugstore red kiosks- is hiking prices on DVD rentals and calls the implementation of streaming service for the company a major focus. Yes, another big name is hopping onto the streaming dancefloor, seeking to reduce or eliminate the the need for physical media in rental transactions. That is really cool that Redbox wants to get in the game with streaming. It should be a big hit with people that like Redbox. I like them, but I really enjoy new releases and always had to wait the 28 days before they can release it. By then you could never find it at any Redbox’s. I went with Blockbuster because they get new releases 28 days before Redbox and Netflix. That in itself was worth it. Besides that I get the Blockbuster Movie Pass through my provider/employer DISH Network for only $10 a month. I get streaming, mail-in DVDs, in-store exchanges, over 20 premium channels, and games and Blu-ray DVDs at no extra charge with the Blockbuster Movie Pass. I don’t think anyone can beat that deal.